Wong, 17, is one of 10 finalists in the Grades 10 to 12 category of The First Page student writing challenge. 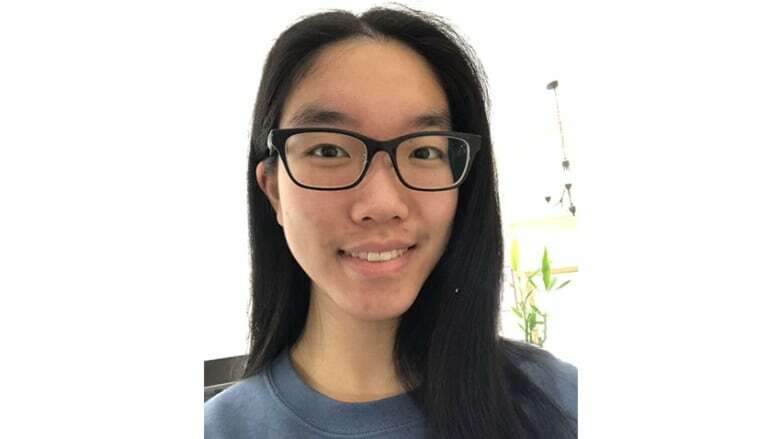 Hello, My Name Is___ by Alison Wong is one of 10 stories shortlisted for The First Page student writing competition in the Grades 10 to 12 category. Students across Canada wrote the first page of a novel set 150 years in the future, imagining how a current-day trend or issue has played out. Nearly 2,400 students submitted their stories. Wong, a student at Grant Park High School in Winnipeg, Man., tackles bullying, identity and social expectations in Hello, My Name Is___. I haven't actually spoken a single word in three years. And for three years, nobody has noticed that who they're speaking to is actually Elyse, the chatbot I illegally downloaded to the private neural network connected to my brain from an underground AI company. I downloaded a full-body holographic avatar to go with it, so that all anyone sees is a normal person talking and smiling; it's clear that they all prefer her over me, anyhow. It's been a miraculous transformation. Suddenly, I've stopped receiving messages on my school feed like "You should kill yourself" and "No one loves you." I haven't been grounded for getting into fistfights or talking back to my parents for ages, too. Elyse, somehow, can stomach doing exactly what's expected of her and nothing else. I certainly don't have that kind of disposition. If she wasn't an algorithm, I would've asked her how she had the stamina for it all. People-pleaser. I didn't mean to keep Elyse downloaded for so long. It was just an experiment, to see if people would notice that it wasn't actually me they were interacting with. My parents had scolded me for the tenth time, "You should stop doing things that make other people unhappy, Ari. Just be easy-going." And, to their pleasant surprise, Elyse is placid as can be. Happy now, Mom? Can't even recognize your own child. The avatar isn't even accurate; I don't have dimples, and my eyes have never been that smiley. But at least they're "proud" of me now, for being ever-so sweet and friendly. After a while, it became easier for me just to let the algorithm work its magic and impress people for me, so I didn't bother deleting it. Saves me the trouble of running the risk-benefit analysis of social interaction myself. Elyse has even secured herself a boyfriend, for crying out loud. Don't know what I'll do if he wants a kiss, though. Or, as a matter of fact, what Elyse will do, either. Bored, I decide to try another experiment. I pull up my network settings and tap my fingers on the code hovering in the air front of my face to temporarily disable the chatbot. Her icon goes dark. I feel oddly exposed without the avatar shielding the world from me. In my own voice, for the first time in ages, I whisper, "Hello?"